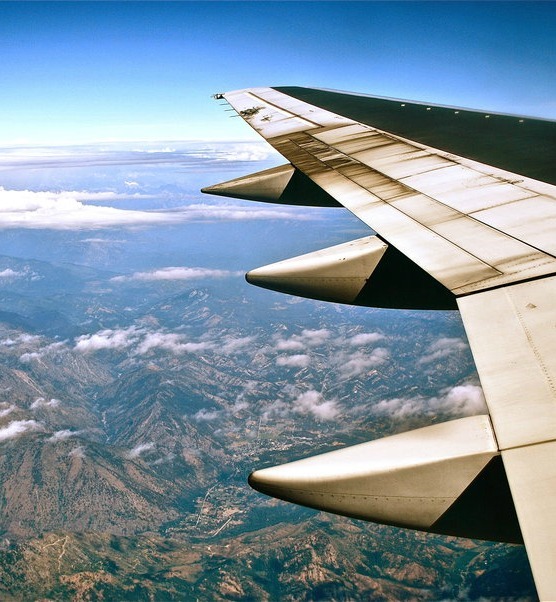 Everyone who travels by air has at least one story to tell. Most of the time these are the stories of lost luggage, delays, flight cancellations, obnoxious fellow passengers, or the impertinent cabin staff. We tell the stories because they happened to us. We want to warn our friends to spare them the indignity of spending five days without luggage in Cairo or being stranded for a day in “Timbuktu” only to miss our connecting flight that would have taken us back to civilization if we were lucky enough not to be tricked by our travel agent back home. Most of the stories, though, are less dramatic, but still worth telling and some of them do not even happen to us. The story I am about to tell happened only a few days ago in the Business Class of an European airline during the Atlantic crossing. After a meal that wasn’t too horrible, most of my fellow passengers went to sleep. Those who sat at the window pulled dawn the window blinds, but a few of us remained awake. Some were reading, others watched movies. Just across the aisle a gentleman in his 70s had his window blind open. He was reading a newspaper and did not even wore the reading glasses. I found this quite remarkable. I guess most of us would be able to retain a fairly good vision if we had the discipline to read at daylight without the help of artificial light sources. The steward wanted to be diplomatic. He told the couple that this was a day light flight and no one could be forced to shut the window blind if he did not want to. He offered them sleeping masks. The couple “spoke” very loud and did not care that they might wake up other passengers. They spoke loud enough so that the elderly gentleman at the window heard every single abusive word that was addressed to him. He was neither senile nor deaf. He heard everything. The couple was indignant. They refused to wear the sleeping masks and demanded that the window blind was shut. The elderly gentleman eventually pulled down the blind and tried to read for a few minutes to read with the help of the reading light, but gave up after a short while. His eyes got very tired, I learned later. The couple went to sleep and woke a few hours later as if nothing ever happened. The flight was uneventful until landing, but the lack of civility and the verbal brutality of my fellow passengers left me shocked and frustrated. I felt that I needed to talk to that elderly gentleman who was so unjustly abused on the plane. When I caught up with him at the conveyor belt I told him that I was very sorry for what happened to him during the flight. He smiled and said that this experience was indeed very painful, but was happy to be old since old age was really a blessing. His short term memory didn’t work very well anymore and he already forgot the bad things that happened to him. So much wisdom! And such a detachment form things that are hurtful or unpleasant. A Zen mind! I am not sure, and there was not time to ask, whether he developed this attitude with growing age, or was that the motto he lived by for the most part of his life. It doesn’t matter. What matters is that all of us would be so much happier if only we learned how to detach ourselves from bad experiences and forget them quickly. However, if letting go cannot be learned, age does it for us. And that’s the good thing.